To reward those heroes who have made great contributions to the kingdom, officers and officials alike have agree to award these honorable soldiers with titles of nobility. After the grand ceremony, they will be blessed by the Gods. The blessed heroes will be granted with powerful strength; bonus BP in combat. Do you want to rise up amongst the noble class? If this is your cup of tea and you have reached level 70 or above, you can donate gold to become one of the admirable nobles. 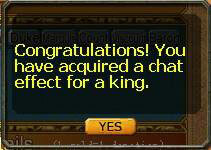 If your donation is ranked among the top 50, you will have a chance to be given the title of King/Queen, Duke or Marquis. If you are not within the top 50, you may obtain the title of Count/Viscount/Baron. 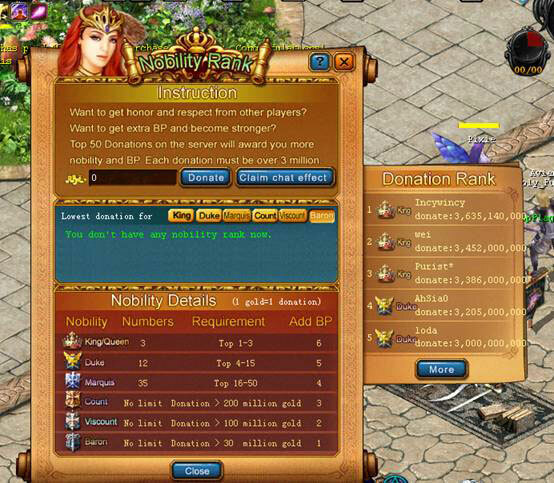 The more donations you make, the nobler title you will obtain, and also more bonus BP. 1. 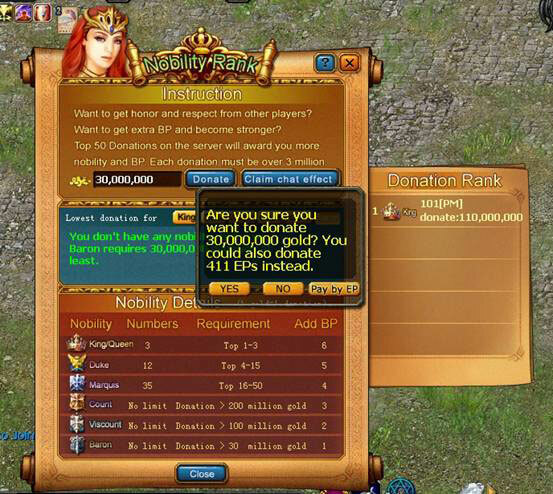 Move your mouse over the Nobility button to view your donation and nobility. 2. 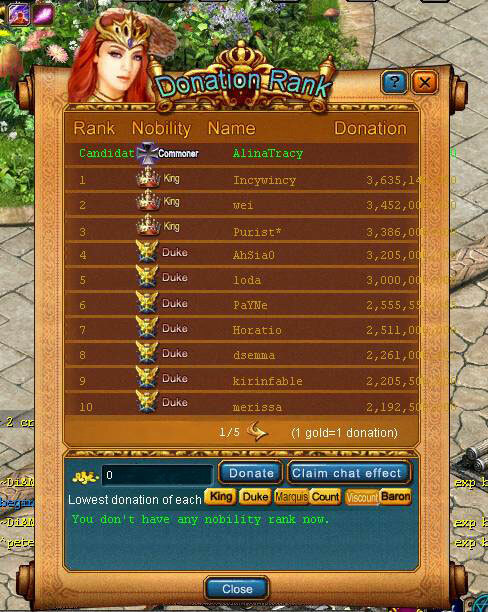 Click Nobility button to donate and check the ranks of donators. 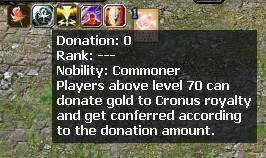 If you are below level 70, you can only view the rank of donations after you click the Nobility button. 3. Click to check the rank of donations for each title. 4. You have made a donation. Thanks a lot for your great contribution. You have been awarded with the title of nobility. Now you are and admirable noble! 5. 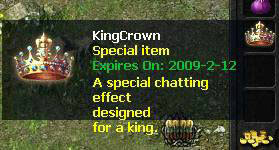 A noble can claim a chat effect according to the rank, this effect is not tradable. 6. You can also check the ranks of donations of other titles.